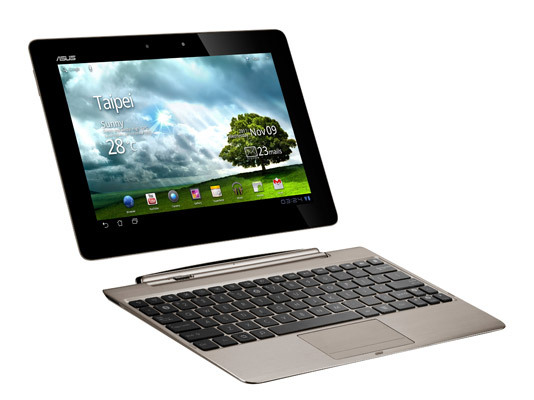 Earlier today we saw that Asus may delay the launch of its next generation tablet, the Transformer Prime to get Android Ice cream Sandwich on board, but with the announcement of Tegra 3 by Nvidia, Asus has also officially launched Transformer Prime, a successor to its highly successful tablet Transformer which was launched last year. 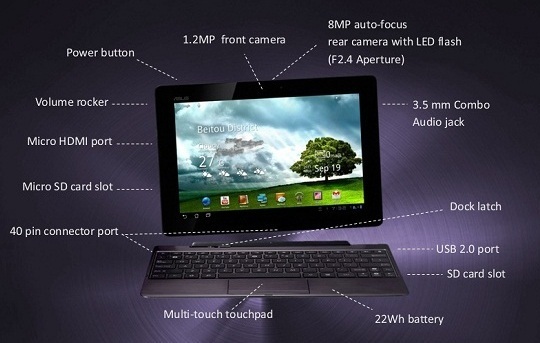 It’ll be the first quad-core tablet to run on Nvidia’s Tegra 3 CPU and it has some really great specs. We first saw the Transformer Prime at the AsiaD conference where Asus’s’ CEO had showcased the 10 inch tablet and since then reports have been coming in about its benchmark results beating all the current next generation mobile devices. 8MP rear camera with LED flash and auto-focus, 1.2MP front camera. Attachable keyboard that turns the tablet into a laptop. The Transformer Prime will come in a metallic spun finish and available in either Amethyst Gray or Champagne Gold color. Transformer Prime is priced at $499 for the 32GB capacity and $599 for the 64GB. The docking keyboard will be available for an additional $149. The tablet will be available in December.